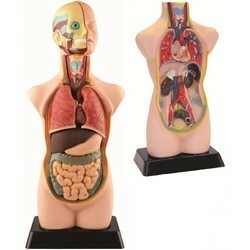 Pioneers in the industry, we offer human skeleton, human heart, human stomach model, mensuration kit (acrylic), sextant and compound microscope from India. In addition to the standard benefits of a skeleton model, this version provides representations of the structural interaction between bones and ligaments. The human skeleton model's elastic ligaments, on the major appendicular joints (shoulder, elbow, hip and knee), are mounted on the right side. 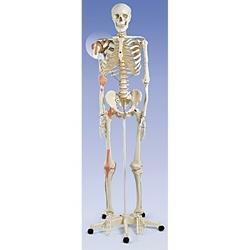 An amazing replica of the human skeleton. 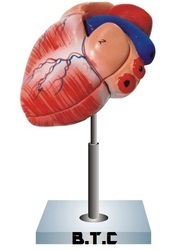 We are offering human heart model.natural size, dissect able into two parts. On base. Numbered with english key card. 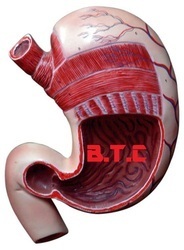 We are offering human stomach model.showing external details, life size. On base. Numbered with English key card. To understand the area, perimeter, and other physical property of two dimensional figures. 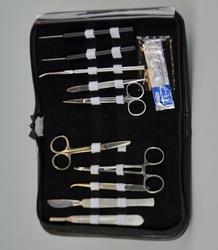 This kit is provided with magnetic display model of different two dimension figures duly printed. Its easy to demonstrate onmagnetic board for concrete understanding. Unit cubes is also provided with this kit to make cubic identity models and pack of activity cards with teacher mannual. Sextants have been used for hundreds of years to determine the angle of the Object . A sextant consists of a small hollow pipe, mounted on a chassis with a few reflective mirrors and a degree arc. 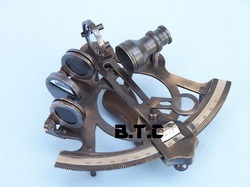 The sextant is used to determine the angle of any object in comparison to the horizon. The angle of the arm and mirror is adjusted to align the objected With the horizon, and then the arc of the sextant is recorded to determine the angle of the Object. Body:-Well designed heavy & sturdy die-casted monocular body inclinable to 900 suitable to meet the needs of college and school students. Tbe with mechanical length 160mm. 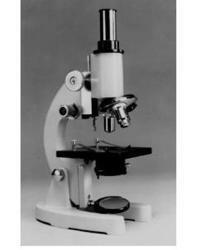 Focusing by separate coarse fine focusing knobs with triple revolving nose piece,horse shoe base. Square stage 120x120mm with clips for holding the slide. Double lens bright field ABBE Condenser(N.A. 1.25) is fixed with the stage with iris diaphragm and swing out filter holder. Illumination by plano concave mirror in fork mount. Packing: In thermocouple case with dust cover. Test tube rack is a laboratory equipment that is used to hold upright multiple test tubes at the same time. It is most commonly used when various different solutions are needed to work with simultaneously, for safety reasons, for safe storage of test tubes, and to ease the transport of multiple tubes. 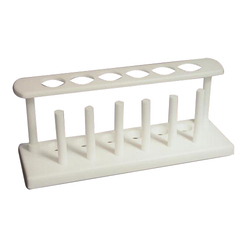 Test tube racks also ease the organizing of test tubes and provide support for the test tubes being worked with. Looking for Biology Lab ?